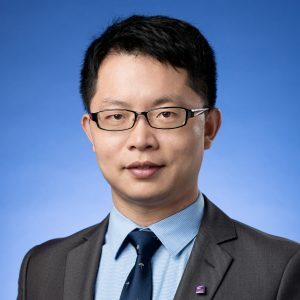 Prof. Wendong Li is an Assistant Professor at Department of Management, The Chinese University of Hong Kong (CUHK). He obtained his PhD degree from National University of Singapore. Prior to joining CUHK, he worked as an Assistant Professor at Kansas State University for three years. Prof. Li conducts research on proactivity across a number of areas, including leadership, work design, and well-being. He is intrigued by how people are willing and able to modify, but also adapt to, their environments. His work examines individual (e.g., personality traits and genetics) and environmental (e.g. work context and culture) factors that may prompt proactivity, as well as the consequences of being proactive. Recently, he is conducting research looking at the role of time and change-related issues on leadership and well-being. His research has been published in leading management journals including Journal of Applied Psychology, Personnel Psychology, and Leadership Quarterly. His work has won the Hogan Award for Personality and Work Performance, Society for Industrial and Organisational Psychology, the International HRM Scholarly Achievement Award and Best Student Convention Paper Award from the Human Resources Division, Academy of Management, as well as the Best Paper Award in the OB Division, Asian Academy of Management. His research has also been covered in media outlets, such as the US Today, the Washington Post, and the South China Morning Post. W. D. Li, K. Stanek, Z. Zhang, D. S. Ones, and M. McGue (In Press), “Are genetic and environmental influences on job satisfaction stable over time? A three-wave longitudinal twin study,” Journal of Applied Psychology. W. Chi, W. D. Li, N. Wang, and Z. Song (2016), “Can genes play a role in explaining turnover? An examination of gene-environment interaction from human capital theory,” Journal of Applied Psychology, 101(7), 1030-1044. W. D. Li, Z. Zhang, Z. Song, and R. D. Arvey (2016), “It is also in our nature: Genetic influences on work characteristics and in explaining their relationships with well-being,” Journal of Organizational Behavior, 37(6), 868–888. R. Arvey, W. D. Li, and N. Wang (2016), “Genetics and Organizational Behavior,” Annual Review of Organizational Psychology and Organizational Behavior, 3, 167-190. W. D. Li, N. Wang, R. Arvey, R. Song, S. M. Saw, and Z Song (2015), “A mixed blessing? Dual mediating mechanisms in the relationship between dopamine transporter gene DAT1 and leadership role occupancy,” The Leadership Quarterly, 26(5), 671-686. W. D. Li, D. Fay, M. Frese, P. D. Harms, and X. Gao (2014), “Reciprocal relationship between proactive personality and work characteristics: A latent change score approach,” Journal of Applied Psychology, 99(5), 948-965. M. Zyphur, Z. Zhang, A. P. Barsky, and W. D. Li (2013), “An ACE in the hole: Twin family models for applied Behavioural genetics research,” The Leadership Quarterly, 24(4), 572-594. W. D. Li, R. D. Arvey, Z. Zhang, and Z. Song (2012), “Do leadership role occupancy and transformational leadership share the same genetic and environmental influences?” The Leadership Quarterly, 23(2), 233-243. W. D. Li, Z. Song, and R. D. Arvey (2011), “The influence of general mental ability, self-esteem and family socioeconomic status on leadership role occupancy and leader advancement: The moderating role of gender,” The Leadership Quarterly, 22(3), 520-534. Z. Song, W. D. Li, and R. D. Arvey (2011), “Associations between dopamine and serotonin genes and job satisfaction: Preliminary evidence from the Add Health Study,” Journal of Applied Psychology, 96(6), 1223-1233. P. J. Taylor, W. D. Li, K. Shi, and W. C. Borman (2008), “The transportability of job information across countries,” Personnel Psychology, 61, 69–111. W. D. Li, Y. Wang, P. Taylor, K. Shi, and D. He (2008), “The influence of organizational culture on work-related personality requirement ratings: A multilevel analysis,” International Journal of Selection and Assessment, 16(4), 367-385. Z. Luo, K. Shi, W. D. Li, and D. Miao (2008), “Construct of job performance: Evidence from Chinese military soldiers,” Asian Journal of Social Psychology, 11, 222-231.